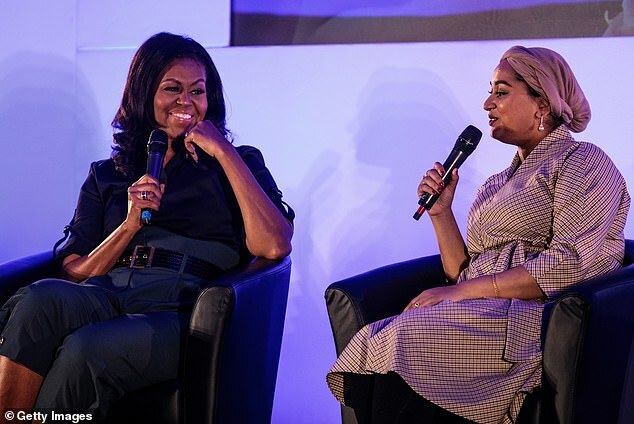 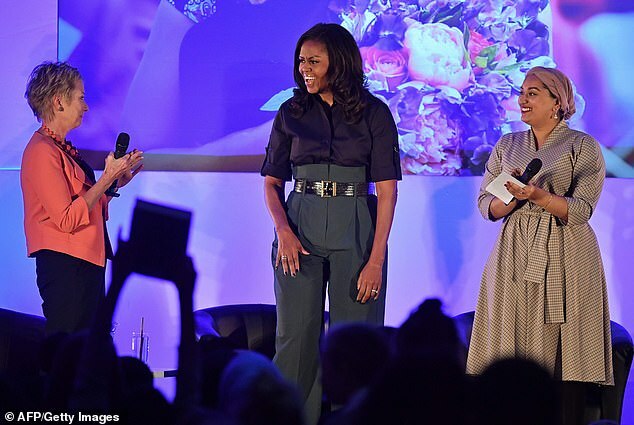 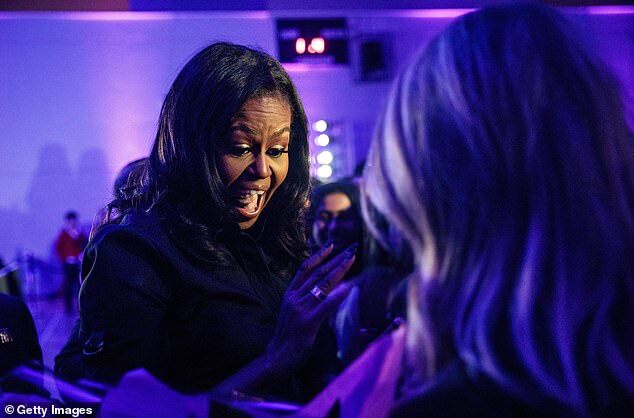 Michelle Obama enjoyed an emotional return to a north London secondary school she credits with inspiring her to get involved in educational reform. 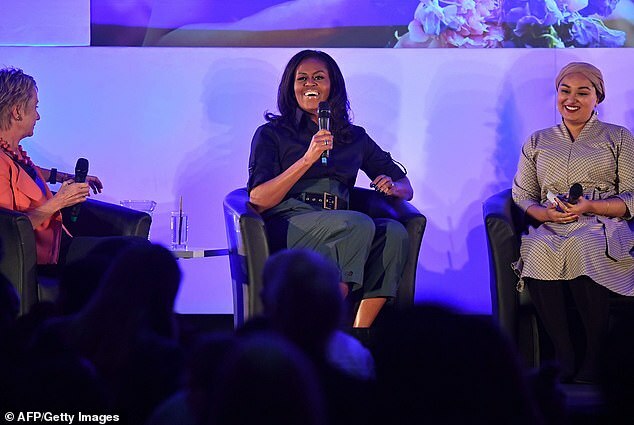 The former First Lady said she was ‘moved, touched and inspired’ by her meetings with hundreds of youngsters at Elizabeth Garrett Anderson School in Islington today. 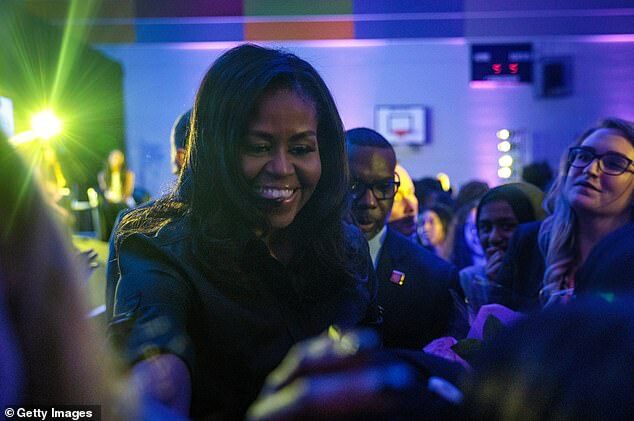 Mrs Obama, 54, was visiting the school, which has many students from deprived homes, as part of a publicity tour for her bestselling memoir titled Becoming. 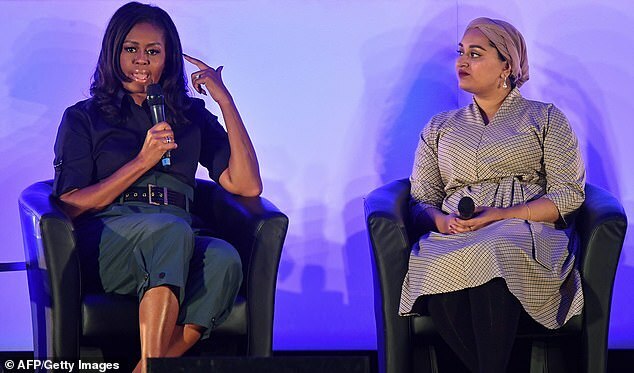 In the book, she detailed the profound impact her visit to the comprehensive secondary school had on her nine years ago, at a time when it had 900 refugee pupils, with 55 languages spoken between them. 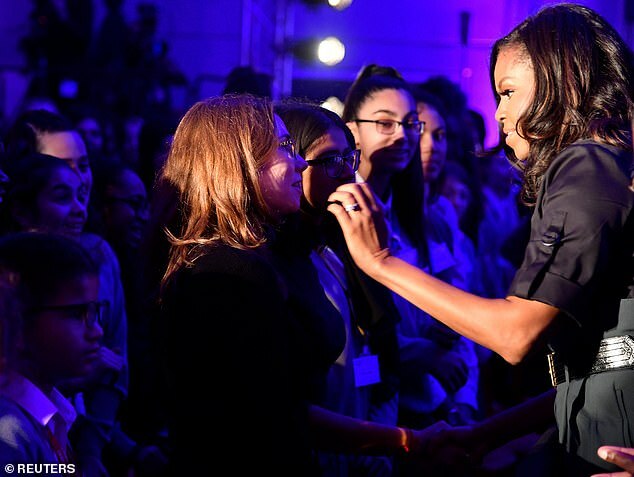 She added: ‘On a personal level I was moved and touched and inspired as I always am by the young people I meet around the world. 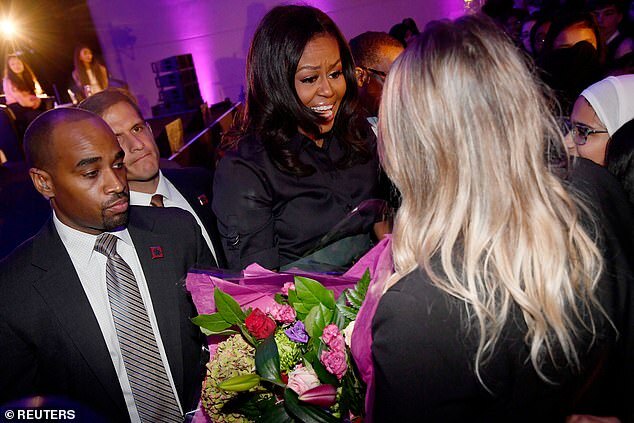 ‘It gives me a level of focus and determination when I get to see you all up close. 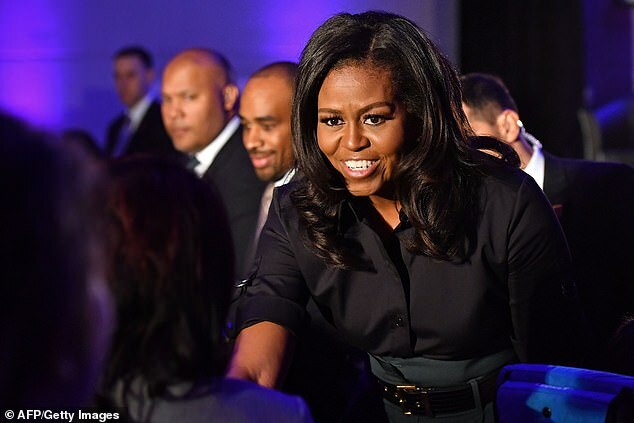 ‘And as I said then, you remind me of me and all the fears and all the challenges that you face. 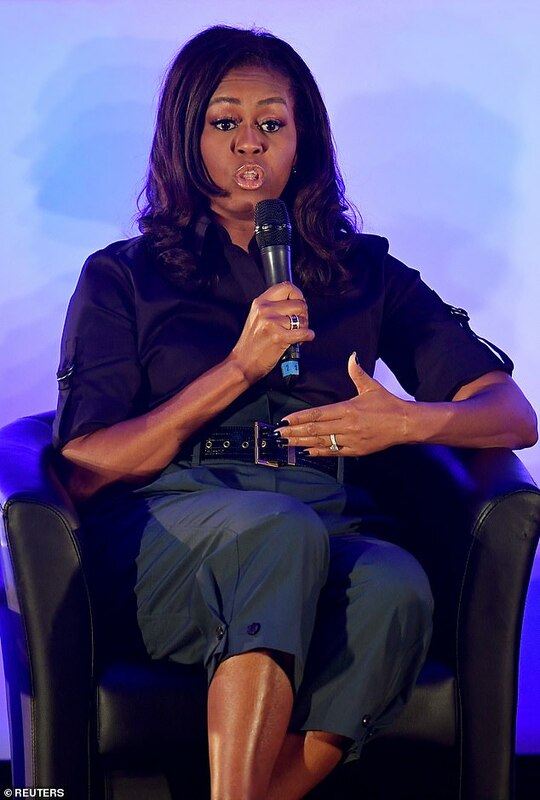 Mrs Obama also encouraged the pupils to practise supporting each other. 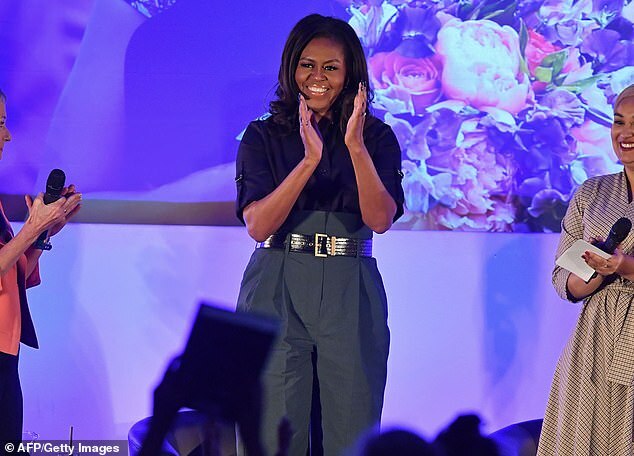 She told them: ‘We as women don’t have the luxury of tearing each other down, there are enough barriers out there. 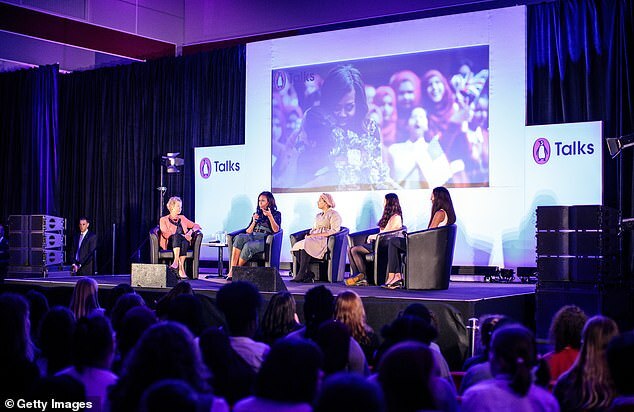 ‘There are enough people out there ready to tear us down, our job is to lift each other up so we have to start practising now. 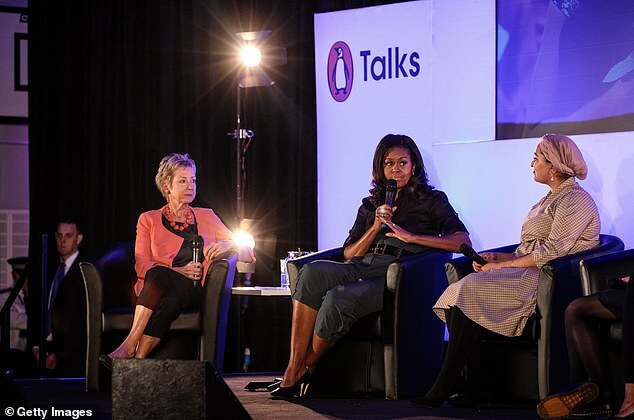 The relationship between Obama and the school was further heightened when a return visit in 2011 saw her invite pupils to hear her speak at Oxford University. 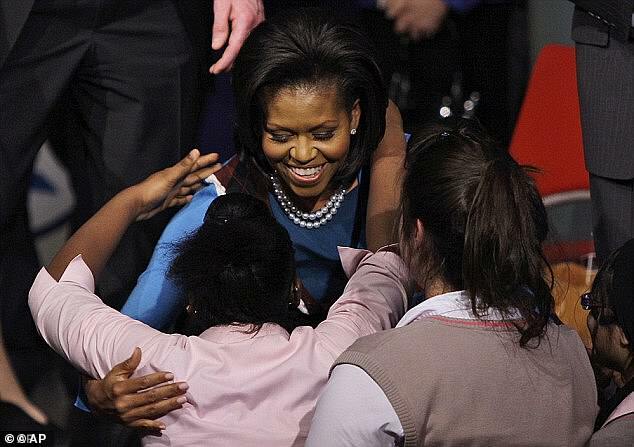 The following year, Mrs Obama invited a dozen of the schoolgirls to visit her at the White House in Washington. 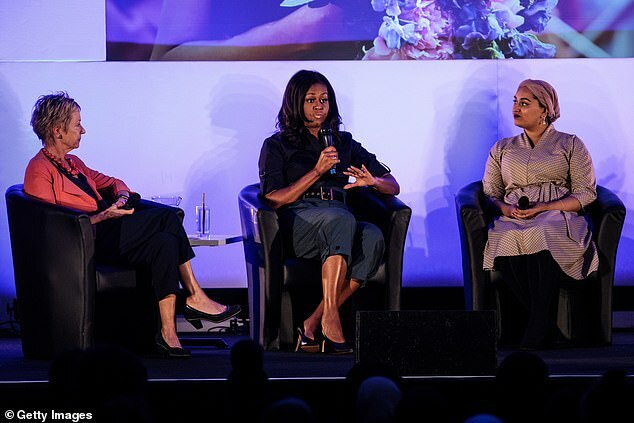 Students spoke of the huge confidence boost the encounter gave them as Mrs Obama encouraged the girls to follow their dreams and to ‘stay hopeful and keep working, despite their lack of privilege’. 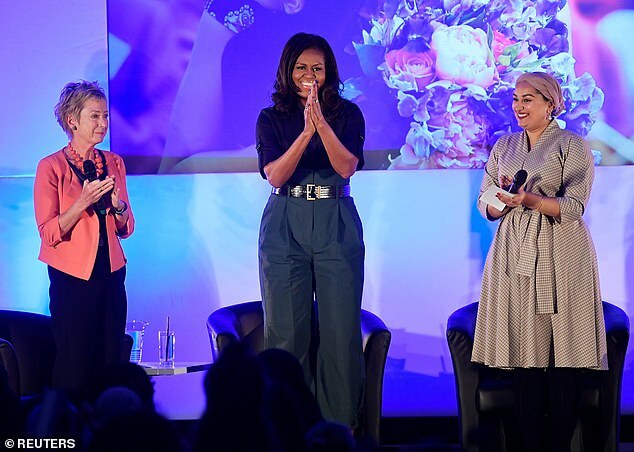 Today, Mrs Obama spoke about ways diversity in the top universities can be improved, saying: ‘Part of what we have to do is expose them to the opportunities. 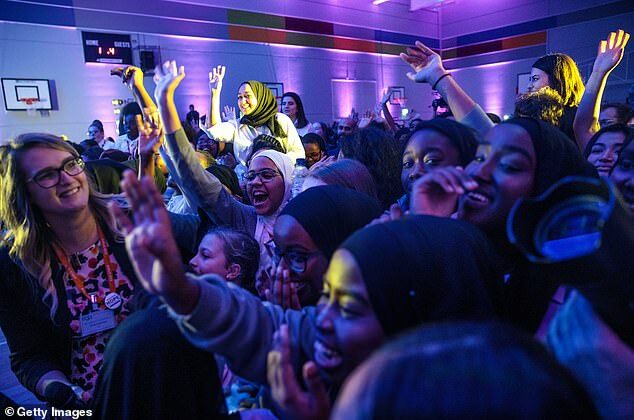 All kids can only dream things that are known to them. 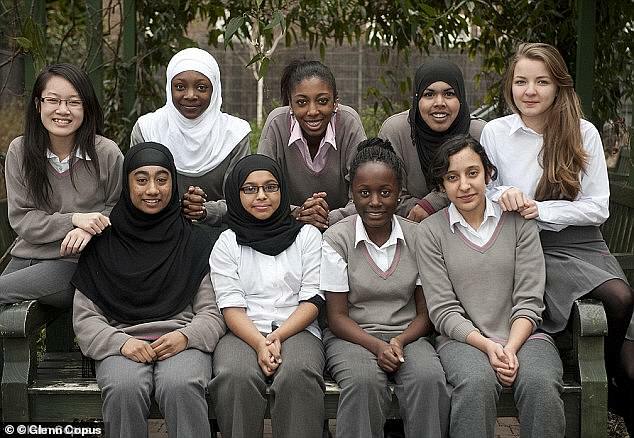 Referring to the trip she took to Oxford University with 37 EGA pupils in 2011, she said: ‘This is why our visit to Oxford was so important. 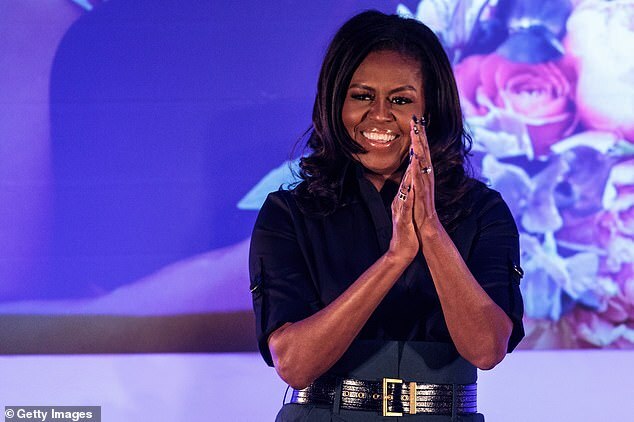 ‘Colleges and universities have to start doing the work reaching out to kids very young… we have to start working on that pipeline much earlier.